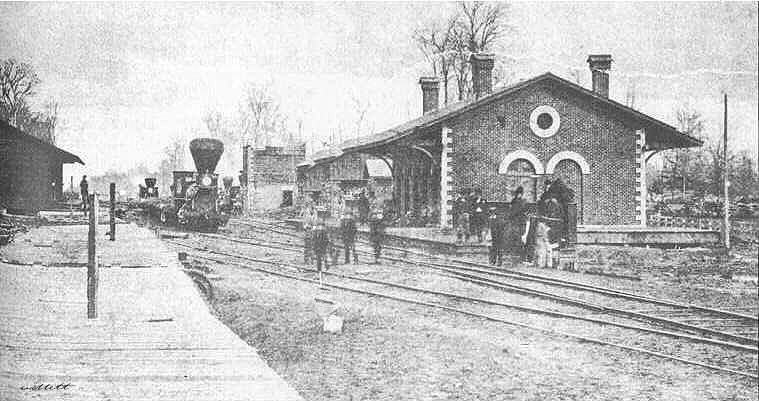 Warsaw-This community arose from the depot grounds (at one time frequented by Thomas Edison) of the Grand Trunk Railroad in 1862. It was platted by Leander Tromble and incorporated as a village but later absorbed by Mt. Clemens. It was located in Clinton Township (now Mt. Clemens) at Cass Avenue and North Rose Street, near the present railroad museum at the old Grand Trunk Railroad Station. It was named for Warsaw, Poland. Notable resident was the first Polish immigrant to Michigan, Ludwik Wesolowski, also the first Polish notary and first Pole to be an elected public official in the United States. He was an engineer who worked on the ill-fated Clinton-Kalamazoo Canal. His daughter married a man who discovered a huge Canadian oil field. Her daughter from this union is purported to have been the richest woman in the world at that time. She became the Countess Von Zeppelin of German royalty. The Von Zeppelins were the manufacturers and developers of lighter than air balloons.